Mansion block apartments have proved enduringly popular. With their stunning red-brick Victorian or post-Victorian exteriors, grand marbled hallways, elegant architectural proportions and enviable locations, it's not surprising. Prince of Wales Drive - The street is lined with Victorian red-brick mansion blocks which overlook Battersea Park, looking out towards Chelsea. The St William is a new development comprising one, two and three-bedroom apartments with facilities such as a swimming pool, sauna, roof terrace and 24-hour concierge. It's easy to see why residents pay a premium to live on this street. 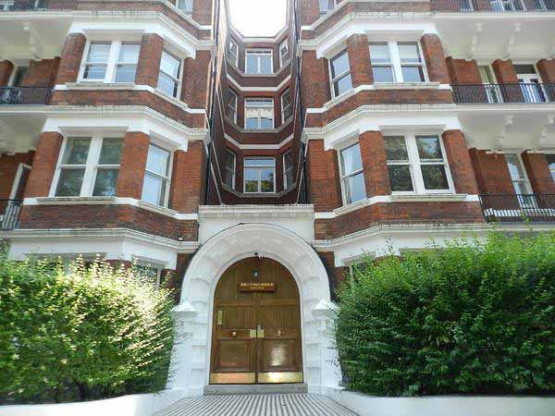 Albert Palace Mansions - This mansion block sits directly opposite Battersea Park and houses lush, spacious apartments. It is in an advantageous spot as Chelsea is easily accessible via Albert Bridge or Chelsea Bridge. Queenstown Road and Battersea Park stations are just a short walk away, making Albert Palace a convenient location for commuters. Lurline Gardens - This is another period block which sits alongside Battersea Park. Its apartments are light, airy and retain many of the block's original features, such as sash windows and high ceilings. The quiet, residential road is highly sought-after due to its architectural prowess and convenient location. Period features are perhaps the most alluring aspect of this type of property. When choosing an apartment, be on the lookout for well-preserved original features that will tempt tenants and future buyers/investors. Pay attention to the location of the mansion block. People want an apartment that's in a central location and is well-connected in terms of transport links. An apartment in a location like this will hold its value. Know who owns the block. If the mansion block is owned by the local authority, then they have the power to make changes to the building and apartments within, even if you own the apartment. Find out if any developments are scheduled in the next few years. Use the same criteria to assess the apartment and its location as you would any other property. Mansion blocks tend to have imposing exteriors, but the apartments within may be expensive to maintain, have small proportions, be poorly insulated, and so on. Take these things into consideration when making your decision. Overall, mansion block apartments are highly appealing for both investors and tenants, and Battersea has more than its fair share of mansion blocks. For more information, get in touch with our team of Battersea estate agents today.